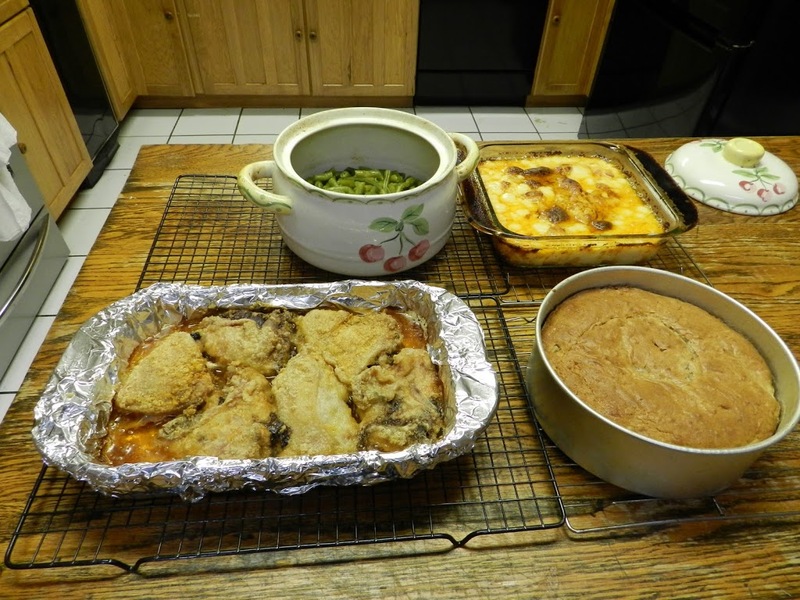 Oven Meal of Oven Fried Chicken, Scalloped Potatoes, Baked Lima or Green Beans, and Apple or Pear Cake Deluxe. “That year in Virginia was a really good year for us.” said Mr. Big Food. That was the year Mr. Big Food discovered Oven Meals and Broiler Meals. The Big Food Manual includes over two dozen such meal recipes. Oven and Broiler Meals combine a meat, a starch, a green or yellow veggie, and a dessert that bake/broil for the same amount of time at the same temperature. It’s nice to have a couple of dozen meal recipes on hand. Prep time for this meal was just under one hour. It bakes for 1.5 hours at 350*. About 1/2 way through we stopped to check the cake. it had freshly whipped cream, that had chilled in the fridge, on it. See, the cake bakes at the same temp as rest of the dinner. But it comes out earlier, so it has time to cool. 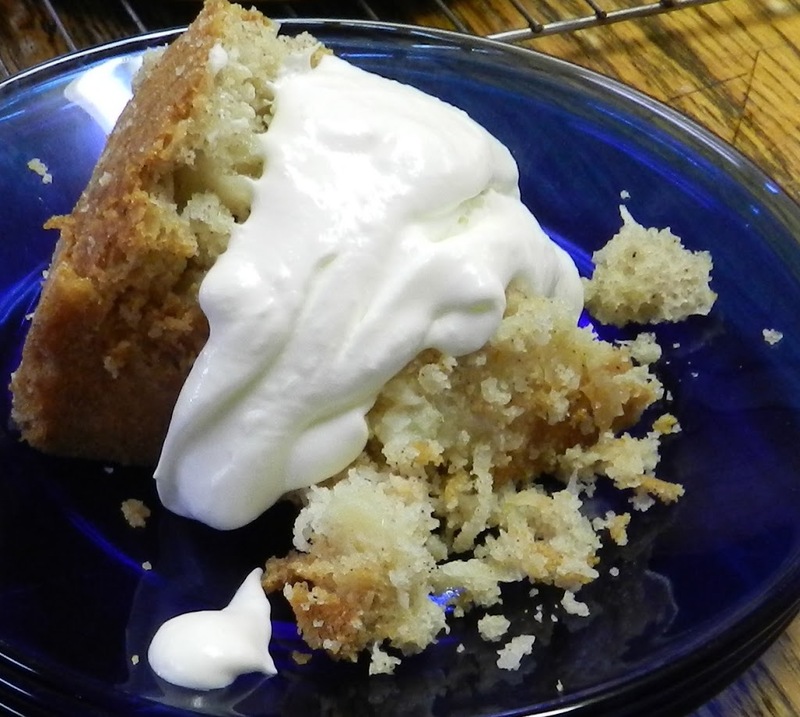 And if you beat the cream as the last thing you do before you sit around and play with your dog for an hour and a half, and put it in the fridge, the cake will be just the right temperature to slowly melt the cream when it’s time for dessert.